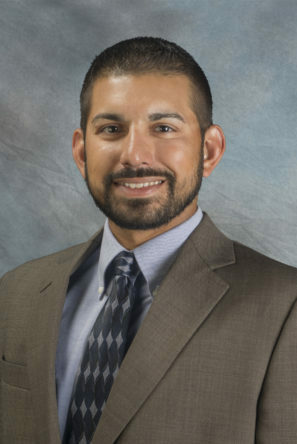 Brandon Khan joined Lyon County State Bank as the Retail Banking Supervisor in June of 2017. Brandon has over 12 years of leadership experience from the automotive industry and was the recipient of the 2016 Excellence Award for his superior performance in customer satisfaction and human resource management. In August of 2018 Brandon advanced his banking career with Lyon County State Bank by joining the lending team as a Consumer and Commercial lender and in January 2019, he became an Assistant Vice President. Brandon was born and raised in McPherson, Kansas. He attended Kansas State University and Emporia State University. In 2011, he graduated from Emporia State University where he earned a Bachelor’s of Science degree in Business, majoring in Management. Brandon lives in Emporia with his wife Tina (Reilly) Khan. He enjoys supporting and participating in many of Emporia’s community functions, spending time outdoors with his wife Tina, and competing in field trials with their pointing dogs.